Michael Maloney is a Senior Associate for Retail Services at Colliers International, Reno. Beginning his commercial real estate career in 2008 with Coldwell Banker, Michael has consistently been a top producer in Northern Nevada. Prior to joining Colliers in 2018, Michael was a retail associate with CBRE (Reno) from 2015-2018 where he focused on landlord representation and the leasing of over three million square feet of shopping centers for clients such as DRA, Bayer, Kimco, City Sunstone, and Donahue Schriber, among others. In 2016, Michael participated in over 85 transactions totaling more than $250 million in value. He also worked on new developments, including preleasing at the South Meadows Promenade and an 80,000 SF Sprouts and Marshalls anchored center that finished construction in early 2018 and is 100% occupied. In January of 2018, Michael was awarded the CBRE Reno Team Player Award. Michael attended the University of Nevada, Reno and graduated with a Bachelor of Arts in English Literature and a minor in Economics. Roxanne Stevenson is a Senior Vice President for the Retail Services Group. She has over thirty years of experience in investment and land sales; tenant and landlord representation; leasing and facilities management for retail properties in Northern Nevada. Roxanne list of clients include some of the most prominent property owners and tenants in Northern Nevada. She has also been on several development teams assisting in assembling, designing, developing and pre-leasing new retail properties. 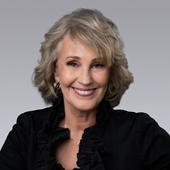 She has been a guest lecturer at the University of Nevada, Reno and serves on the Board of Directors for Commercial Women in Real Estate (CREW), the Advisory Board for the Small Business Development Center (SBDC) at the University of Nevada, Reno, and is an active member of ICSC. Casey Scott is the Senior Associate for the Retail Services Group. Prior to joining Colliers in 2015, Casey was a retail associate with Coldwell Banker Commercial Business Properties (Reno) and was ranked in the top 6% of CBC brokers nationwide. Prior to this he spent over nine years in the retail automotive industry. As a local businessman he has in depth knowledge of the community as well as the rewards and challenges associated with small business. Additionally he has an extensive background in the field of aviation including experience as a United Airlines pilot. Through the completion of industry specific training and experience with local, regional, and national companies, Casey has acquired a thorough understanding of retail brokerage. Casey prides himself on excellent service to his clients large and small. Rick Casazza is a Senior Vice President for Retail Services. He has over 30 years of experience in the shopping center industry, including marketing, management, leasing, development and brokerage. He specializes in tenant representation for many national and local tenants. He is also active in representing developers seeking new projects in the market. 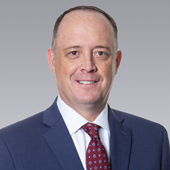 Prior to joining Colliers in 2005, Rick was Owner and President of The Casazza Company, Inc., a commercial real estate and development company. 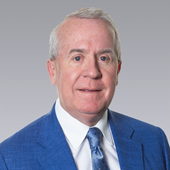 Rick was also the General Partner for Stillwater Associates, L.P, who are the developers of Stillwater Plaza Shopping Center in Fallon, Nevada. Rick was raised in the shopping center business and has been actively involved for more than 30 years with TORE, Ltd, the developers of the 50 year-old Shoppers Square Shopping Center in Reno.